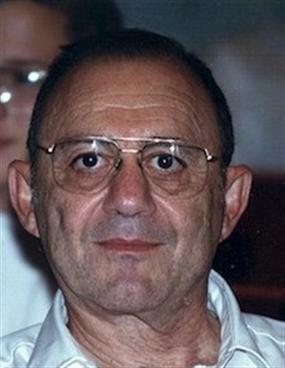 Harry Balukjian of Gaithersburg MD passed away peacefully at his residence in Asbury Methodist Village on June 29, 2016. Harry was born in Philadelphia PA on May 1, 1926, to Pusant and Esther Balukjian. He graduated from Overbrook High School in Philadelphia and the next day enlisted in the United States Navy. He was originally assigned to the Navy Torpedo Testing Station near Newport RI and eventually was sent to Okinawa in April 1945. After being honorably discharged in 1946, Harry attended Lafayette College and graduated with a B.S. in Mechanical Engineering. Harry's first job was with the Westinghouse Corporation, helping design gas turbines. During this time he attended Drexel University, eventually earning his Master’s degree in Mechanical Engineering. In 1957 Mr. Balukjian took a position with the Franklin Institute Research and Development Lab. In 1966 Harry accepted a position with the Navy, working in the submarine branch as an engineer. As a result of that position he relocated to Bethesda MD. In 1974 Harry joined the Nuclear Regulatory Commission, working in reactor licensing. He retired from the NRC in 2002. Harry was an active member of Fourth Presbyterian Church in Bethesda MD until he relocated to Asbury Methodist Village in 2012. He remained an active member of the Gideons until his passing. During his lifetime he enjoyed classical music and played the violin in church and with family and friends, as well as performing in community orchestras. His many international travels were not limited to tourism. He enjoyed opportunities to connect with his ancestral roots, visit relatives and mission sites as well as volunteer his engineering skills in Armenia to help that country develop nuclear energy programs. Harry was proud of his Armenian heritage and helped people and institutions in need in Armenia, the Middle East and beyond through generous donations to the Armenian Missionary Association of America, also serving on its board for two decades. A devoted member of Christian Endeavor since his youth, Harry often attended the organization's international conferences, including the one held in Singapore in 2002. Part of that trip included his first return to Okinawa since WW II, where he was hosted by a Christian school that he had been supporting financially for decades. Harry is survived by his brother, Robert, of Havertown PA, the children of his sister Marion Sarian (deceased): nephews David Sarian (Linda) of Parkesburg PA and Dan Sarian (Rebecca) of Littleton CO, and niece Susan Hein (Gary), also of Littleton, along with six grandnephews/nieces. A private graveside service will be held at Arlington Cemetery in Upper Darby PA. The date of a public memorial service is yet to be determined. Contributions in Harry Balukjian's memory may be sent to Armenian Missionary Association of America, 31 West Century Rd, Paramus, NJ 07652 or Armenian Martyrs’ Congregational Church, 100 N. Edmonds Ave, Havertown, PA 19083.